The cryptocurrency market battled the bear for a long time before observing growth on January 13. The market has witnessed new normalcy as the coin is rising and falling almost in a rhythmic pattern. 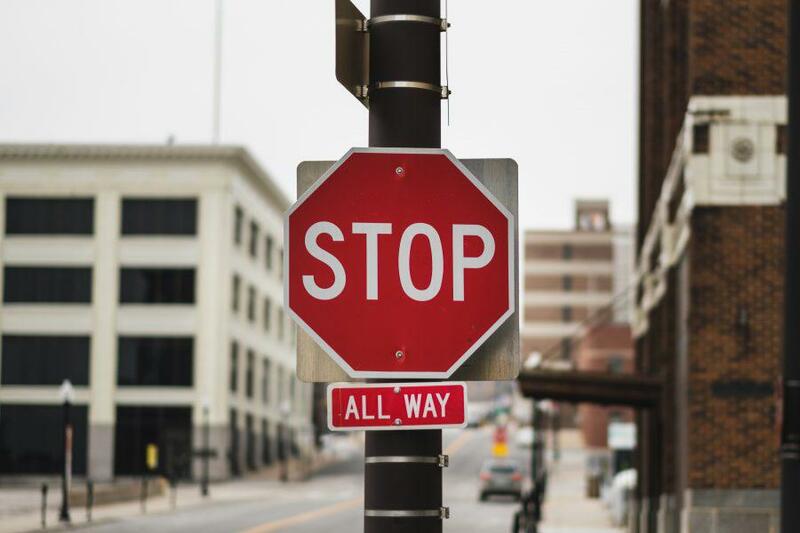 Bitcoin [BTC] has been observing a bearish market ever since Ethereum [ETH] started to soar. The biggest coin in the major coin list, BTC has still not attained stability. At the time of press, BTC was valued at $3,654.90 with a market cap of $6.3 billion. The 24-hour trade volume of the coin was registered to be $5.5 billion, with a dip of 1.31% over the past day. The coin was reported a growth of 0.09%, which is minuscule as compared to the dip is faced in the past seven days by 9.84%. 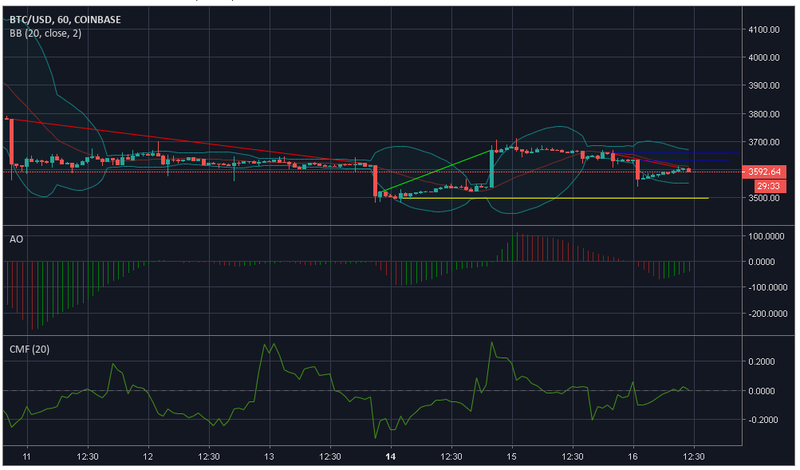 The one-hour chart of the coin reports a downtrend of the coin from $3,779.88 to $3,622, after which it saw a sudden spike from $3,520 to $3,669.65. 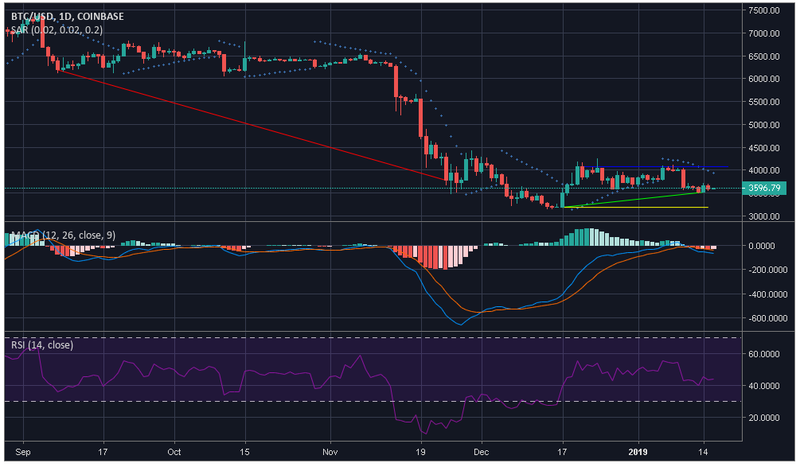 The coin immediately met with resistance at this point and started falling from $3,656.89 to $3,604.28 and is still seen falling and walking on a thread as strong support is offered at $3,498.73. The coin sees an immediate resistance at $3,635, and another resistance is noted at $3,658.77. Bollinger Bands appear to be at a diverging point, increasing the volatility in the market. The moving average line is above the candlesticks pointing towards a bearish market. Awesome Oscillator, on the other hand, indicates a bullish market losing momentum. Chaikin Money Flow is above zero marking a bullish market. However, the marker might fall under zero soon. Parabolic SAR indicates a bearish market as the markers have aligned above the candlesticks. MACD line is above the signal line, indicating a bearish market. Relative Strength Index indicates that the buying and selling pressures are evening each other out. As per the indicators, Bollinger Bands, Parabolic SAR, and MACD predict a bearish market. Whereas, Awesome Oscillator and Chaikin Money Flow forecast a bullish run, which seems like a long shot at this point. Namrata is a full-time journalist and is interested in covering everything under the sun, with a special focus on the crypto market. With a year left for the highly anticipated Bitcoin [BTC] halving, many expect the price of the top-cryptocurrency to surge prior to May 2020. Analysts have previously opined that three months to one year before the halving does the price of the cryptocurrency move up. 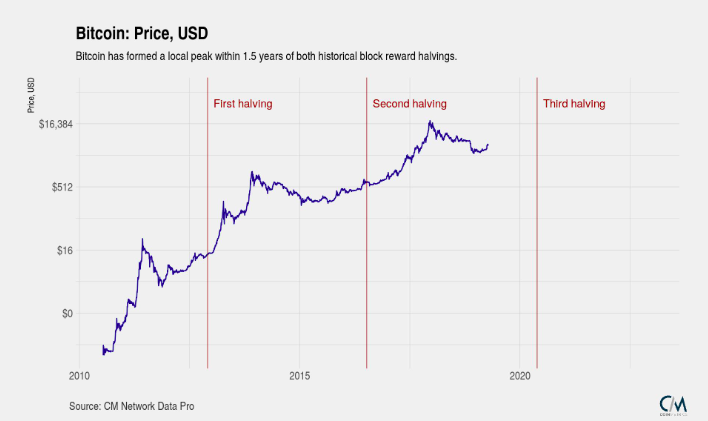 A new piece of research from the cryptocurrency analytics firm, CoinMetrics, suggested that in addition to the precursor pump, Bitcoin [BTC] will reach its “local peak” 18 months after the halving. CoinMetrics charts the price of the top coin, divided based on the 2012 and 2016 halving, showing a noticeable trend. A little more than a year after the first halving when the 210,001 block was mined, the price of Bitcoin surged above $1,000 for the first time, in December 2013 to be precise. Next, During the July 2016 halving, the coin was trading at just above $600 and within the suggested period of 18 months, the top virtual currency saw its second peak. On 17 December, the coin reached a never-before-seen high of over $19,700 as the Chicago Futures exchanges embraced the digital assets market. With the price of Bitcoin over $5,000 for the first time in over four months, and the precursor halving bulls on the horizon, the price could surge. 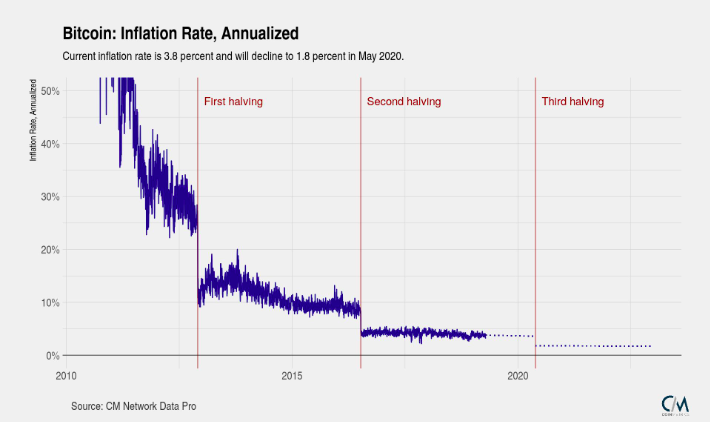 Furthermore, based on CoinMetrics’ inference, Bitcoin will see its third peak, higher than $20,000, by the close of 2021, eighteen months after the May 2020 halving. The halving protocol was placed in the original whitepaper to thwart inflationary pressure that would arise with more blocks mined and more Bitcoins supplied. Historical charts prove that this objective has been adhered to, with a constant drop in the inflation rate with the two previous halvings. In 2012, the inflation was over 25 percent and immediately after the miner reward reduction to 25 BTC per block, it dropped to under 15 percent. A bracket between 7 percent and just under 20 percent sustained until the second halving in July 2016. The second halving saw a decline in inflation rate to under 5 percent for the first time in the coin’s history, which has been maintained till today. CoinMetrics pegs the inflation, at press time, to be 3.8 percent. Furthermore, if the historic trend continues, the inflation rate would drop by more than 50 percent to 1.8 percent in May 2020. 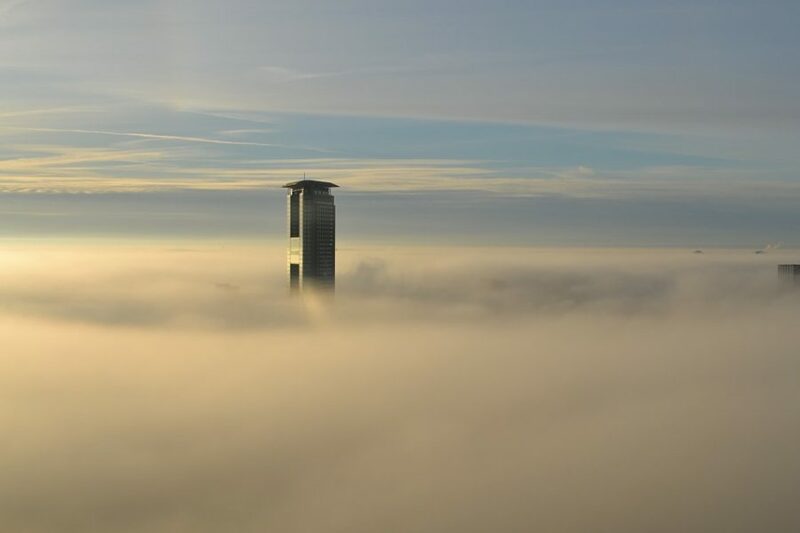 Based on the current market and using a historical outlook, analysts suggested that 2019 will be the year of building the industry while the price effect will manifest next year, with the halving being at the very core. Many believe that institutional interest on the rise and the growing crypto-adoption surge could result in a bullish 2020. Charlie Lee, BTCC’s co-founder suggested in December 2018 that Bitcoin’s next rally will begin in “late 2020”, months after the halving and would peak in December 2021 at 333,000. However, the precursor to this rise would be a January 2019 bottom of $2,500 which did not materialize.